The telecoms firm and toymaker follow food giant Nestle, which on Wednesday said it had also "paused" its ads. YouTube said it had disabled comments on millions of videos that "could be subject to predatory comments". The vlogger said ads for companies such as Nestle and Disney had run before the videos, effectively allowing YouTube to "monetise" the exploitation. 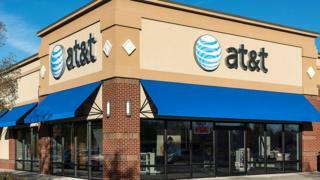 A spokesman for AT&T, America's biggest telecoms company, said: "Until Google [which owns YouTube] can protect our brand from offensive content of any kind, we are removing all advertising from YouTube". Hasbro said it was "pausing all advertising on YouTube, and has reached out to Google/YouTube to understand what actions they are taking to address this issue and prevent such content from appearing on their platform in the future". According to reports, Disney and McDonald's have also suspended their ads. And Epic Games, the maker of the popular online video game Fortnite, said it had "paused all pre-roll advertising" on the platform. YouTube said it had taken "immediate action" by deleting offending accounts and reporting the illegal activity to authorities. It also said it had disabled comments on tens of millions of videos that "could be subject to predatory comments". "There's more to be done, and we continue to work to improve and catch abuse more quickly," it said. Part of its system for reporting sexualised comments left on children's videos did not function correctly for more than a year, a BBC Trending investigation found in 2017. Despite growing pressure on Google and YouTube to crack down on offensive content, the firms' advertising revenues continue to grow.